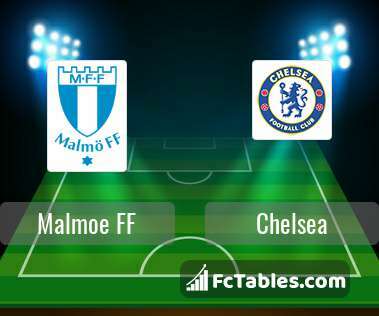 The match Malmoe FF-Chelsea Europa League will start today 18:00. Referee in the match will be . Malmoe FF takes place, which promoted to the European cups. In 5 last games (league + cup) Malmoe FF get 0 points. Malmoe FF from 2 matches at home can not beat any rival. from 5 matches team have not been defeated. To defend Chelsea the most demanding players will be Marcus Antonsson 5 goals, Markus Rosenberg 3 goals, Andreas Vindheim 1 goals, because this season they scored the most goals for Malmoe FF of the entire composition. Players with the most assists: Marcus Antonsson 2 assists, Markus Rosenberg 1 assists, Andreas Vindheim 2 assists. Chelsea takes place, which promoted to the European cups. Form team looks like this: In the last 5 matches (league + cup) gain 0 points. Players Chelsea in Europa League with the highest number of goals: Olivier Giroud 4 goals, Ruben Loftus-Cheek 3 goals, Willian 2 goals. Players , Willian 2 assists will have to be very well guarded by defenders Malmoe FF, because they have the most assists.